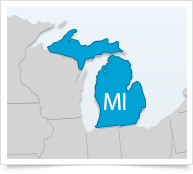 You can access the full Michigan Employment Law Manual (over 50 state-specific reference resources) and Employee Handbook templates (over 10 state-specific handbook policy templates) below, as well as view key state and municipal deadlines, additional state-specific resources and links to key municipal coverage. Updated to reflect information on a state appeals court case regarding sexual assault claims. Updated to include handbook-related provisions of the state Paid Medical Leave Act, effective March 29, 2019.